While staying healthy is important at any age, it is key to remaining active and independent in our older years. Whether taking up a new hobby, changing your exercise regimen or utilizing community resources, finding something you enjoy can help you age successfully. Ideastream’s The Sound of Ideas discussed how older adults are able to stay in shape mentally and physically, allowing them to remain vibrant and independent. Panelists discussed health tips for keeping seniors healthy and active. When making lifestyle changes to achieve optimal health, stay motivated. Whether finding encouragement from a family member, friend, or yourself; having support can keep you on track to achieving your goals. Utilize resources in your community. Whether participating in activities at a local community center, joining a senior fitness group at the gym, or using transportation services to attend events, there are a multitude of resources available. Contact your local town hall, community or senior center, or local agency on aging to get a complete listing of offerings. Stay connected to others. 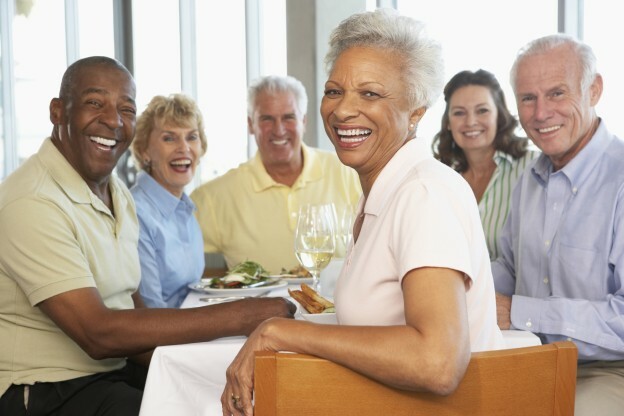 While the older population wishes to stay independent and age in place, having a connection to others will prevent isolation and further deficits in the aging process. In order to maintain your physical health, be active. Whether you choose to take a fitness class, walk a few times a week, or run a marathon; keep moving. The smallest changes in physical activity can provide the healthiest benefits. Exercise your brain. Keep your mind stimulated and prevent cognitive decline by cross-training your brain. Learn a new skill, try the daily crossword puzzle, or take a class at the local community center. Whichever you choose, it is important to keep your brain as active as your body. In order for seniors to build healthy lifestyles, it is key they have access to services, maintain healthy behaviors and surround themselves in a healthy environment. To listen to the full webcast, click here. If you or your loved one is in need of additional assistance to live healthy and independent, Visiting Nurse Association of Ohio offers a wide array of services geared at helping individuals achieve optimal health at home. From personal care to skilled nursing care to rehabilitation services, VNA of Ohio is the premier home health and hospice provider for Northeast and Mid-Ohio. Learn more about our in home care for seniors, or call us today at 1-877-698-6264.